Find the best flight deals to Kabul on JustFly (great fares) or Momondo (best for Business Class tickets) for the best deals on the internet. New York, London or maybe Mumbai? No you are utterly wrong. Since the figures change almost every month Kabul is considered the fastest growing city in the world and you'll notice. 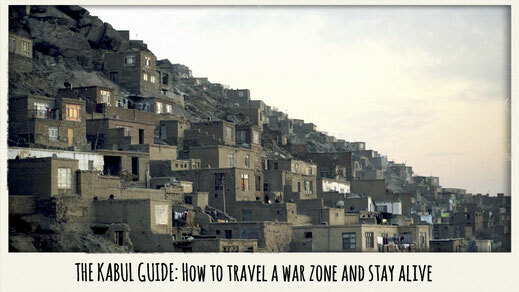 More than 5 Million people call the Afghan capital there home and the city is steadily growing at an incredible pace. 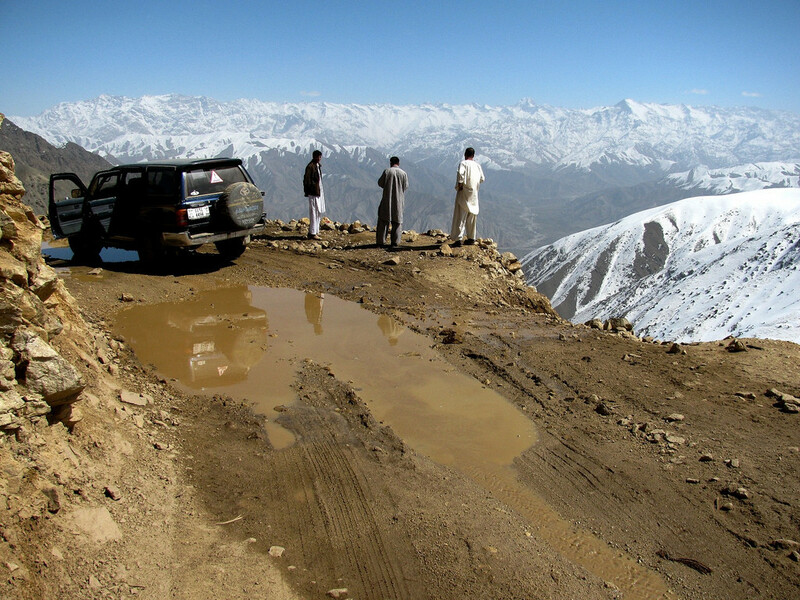 The Salang Pass connects Kabul and northern Afghanistan. Crossing the Hindu Kush at almost 4000 meters, it is one of the most scenic and adventurous drives I have ever been on. "the highest tunnel in the world..."
You’ll be rewarded with scenic views of the Hindu Kush Mountains before entering the Salang Tunnel, which runs through the mountains at 3,400 meters high. It used to be the highest tunnel in the world until 1973. 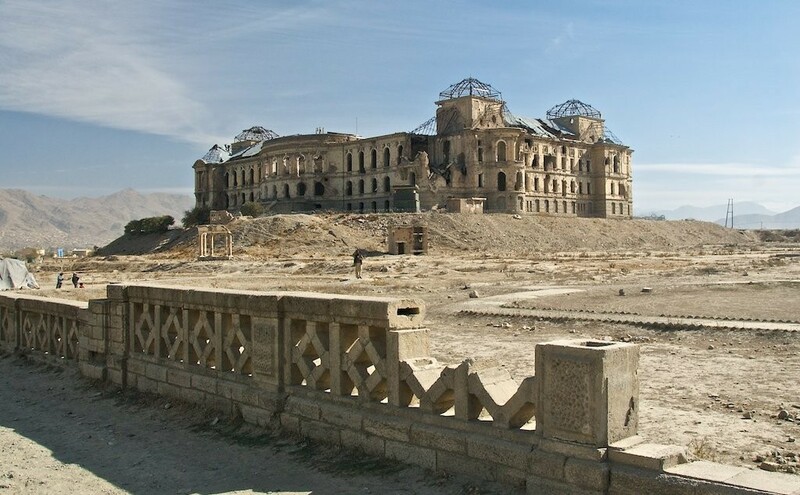 The Darul Aman Palace is arguably one of the most famous war ruins in the world, reflecting Afghanistan’s rich history and many stories. There’s definitely a special vibe you’ll sense when you reach the palace. "the most famous war ruins in the world..."
Although the name “Darul Aman” literally means "the place of peace," it ironically housed the Ministry of Defense. The destruction here was not caused by communists who fought amongst themselves, nor was it caused by the Russian invasion, but by the Mujahideen who defeated the Russians by the end of the 1980s. I sneaked into the palace during my visit and that's my story here. 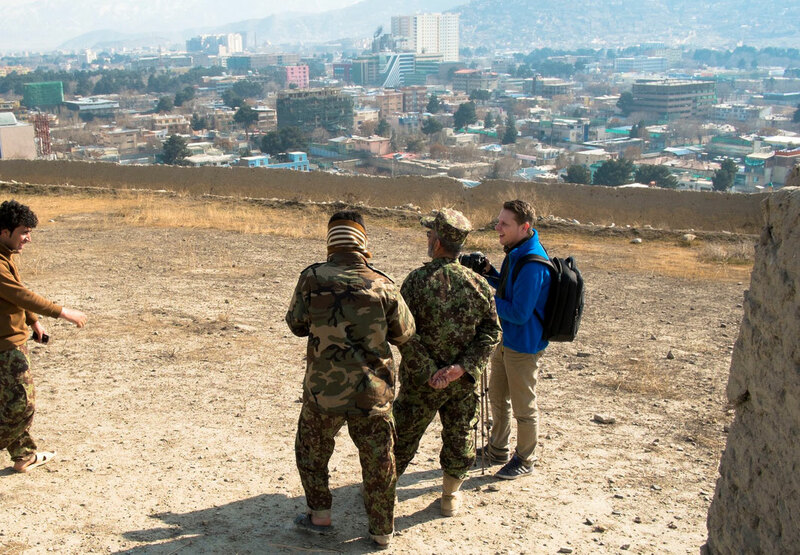 Can you imagine how Afghanistan would have looked like without those decades of war? 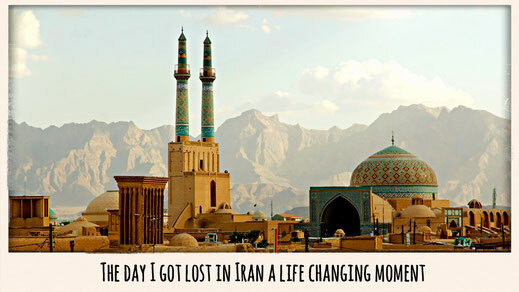 True story, but before the first shots were fired, this Central Asia nation attracted numbers of tourists from all over the world. 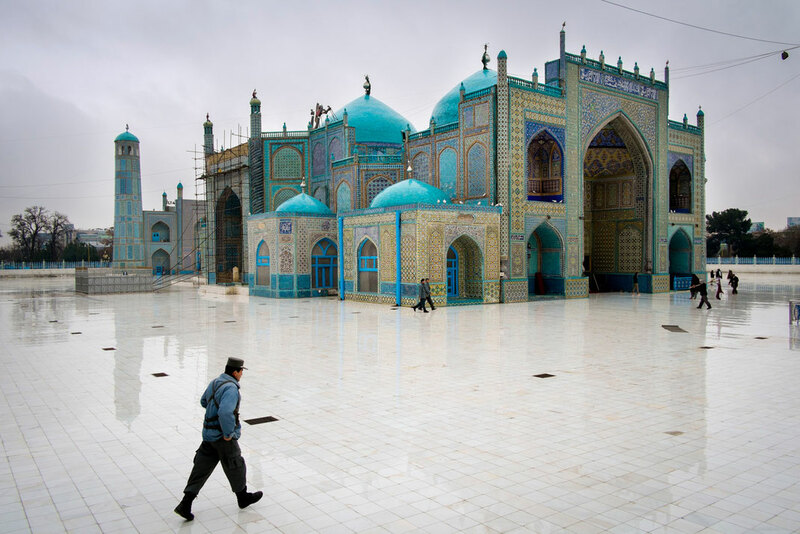 When visiting the country’s beautiful spots like this Blue Mosque, it's easy to see why. "numbers of tourists from all over the world..."
The Blue Mosque attracts thousand of pilgrims every year. According to legend, Prophet Mohammed’s cousin is buried here. While others argue that his remains were moved to Najaf in Iraq as his final resting place, it still doesn't take anything away from the mosque’s mysterious beauty. After a few minutes on Twitter, I found myself dining with great personalities with great influence and even more amazing stories to tell, Journalists, Ministers and other great guys. "We drank whiskey and shared cigars..."
We drank whiskey, shared cigars, talked politics, and of course had a shotgun under the table. Even though these men are high-standing personalities, they were very hospitable and approachable. I’m still shocked that my few tweets ended up with me being invited by these outstanding gentlemen. Within the past 30 years, Afghanistan has produced the highest number of refugees in the world. Almost every Afghan family is somehow affected by the country’s circumstances. Although many have left the country, some have stayed while others who were born elsewhere have returned. Everyone I met had exceptional life stories to share – from inspiring ones that made me smile to sad ones that made me think about life. 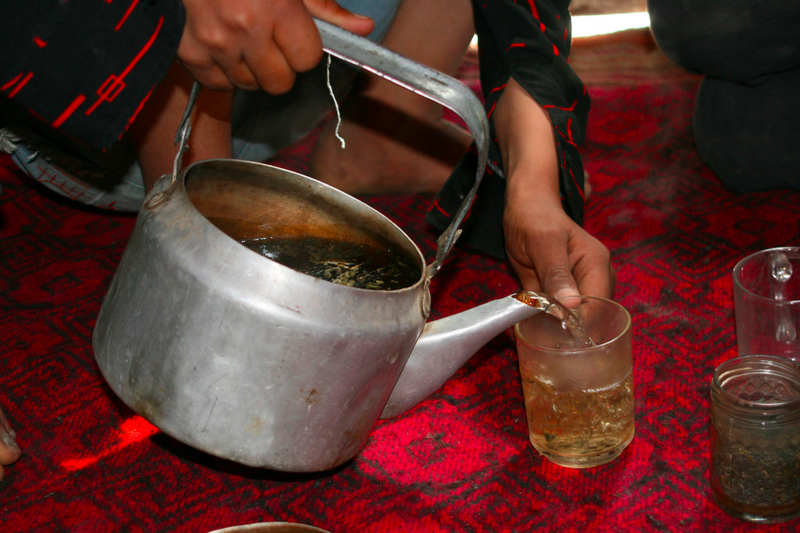 I spent many evenings with the locals and sharing good stories over a cup of green tea in a place that many consider hopeless. This is what inspires me the most to return to this country someday. Football? Basketball? Volleyball? 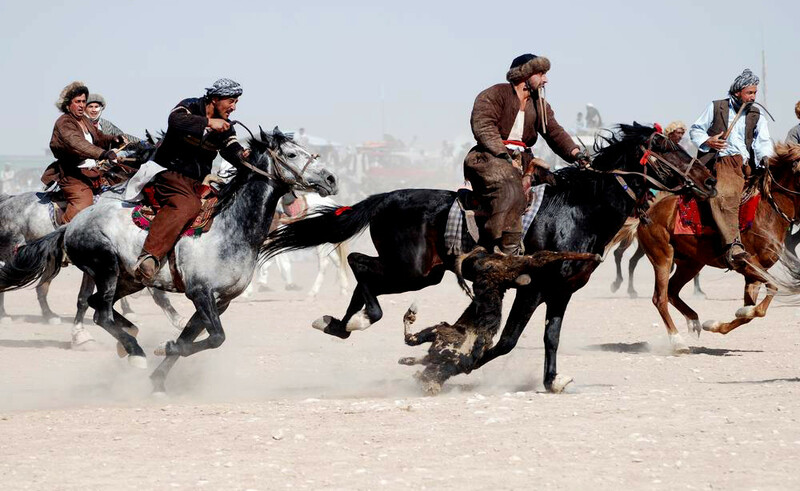 No, the national game of Afghanistan is Buzkashi! Never heard of it? Don't worry, me neither. The game involves lots of men on horseback…and one dead goat. To score a point, you must grab the dead goat on your horse and carry it into the other team’s territory. Drawing thousands of fans, the games are like nothing I’ve seen before with its fierce and electric atmosphere. It’s like a glorified polo and Capture-the-Flag: very intense and easily one of the toughest games on earth. The markets located right in the heart of Afghanistan's capital are one of my favorite parts about Kabul. First of all, you'll always score a good deal. Secondly, there is nothing you can't get. Goats, cows, birds, chicken, clothes, food, seasoning – name it and it’s there. The market couldn't be more alive (unless you count the chicken the butcher’s about to behead) and all the chaos makes this a fun experience. "unless they behead a chicken beside you..."
I also noticed the local people’s big appreciation for birds. An entire section of the market, obviously called the Bird Market, is dedicated to these little guys. 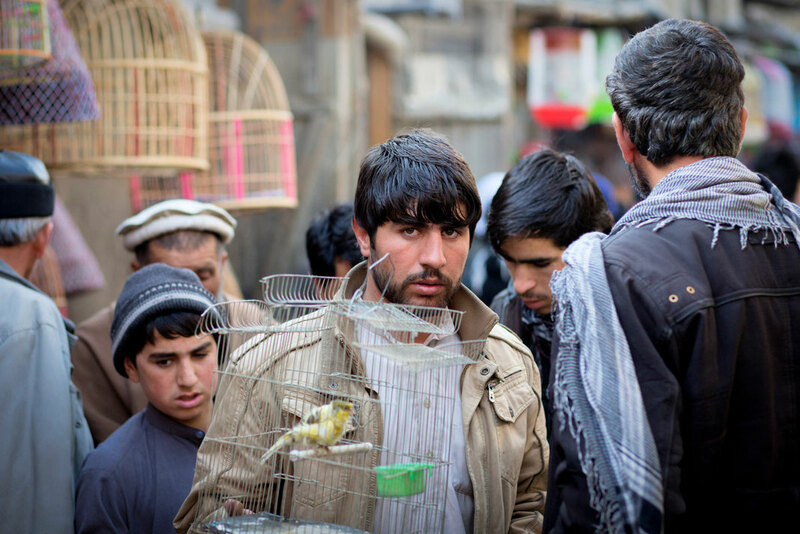 You encounter the coolest birds and the fattest pigeons which Afghans bargain their lungs out for. The Pashtun, Tajik, Uzbek, Arab, Hazara, Turkmen, Aimaq, Brahui, Pashai, Balock, Pashai, Nuristani, Gujjar, and Pamiri people all make up Afghanistan's ethnic diversity. This colorful blend of cultures and peaceful tribes enrich the country. Many of them have their roots in neighboring countries such as Tajikistan, Uzbekistan, and even Turkmenistan. 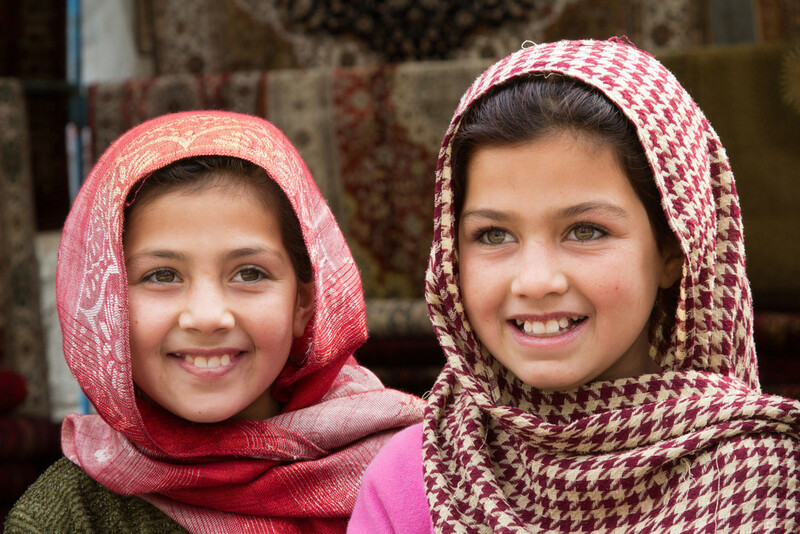 Northern Afghanistan is especially home to many different cultures and local languages. The Netherlands is the country of cheese, Germany the country of beer, and Brazil known for its amazing rain forests. Afghanistan is definitely the place for the most breathtaking mountains, preserved nature and endless outdoor beauty. "No human being has ever been to..."
In fact, certain regions are so untouched, that there are literally places that no human being has ever been to. 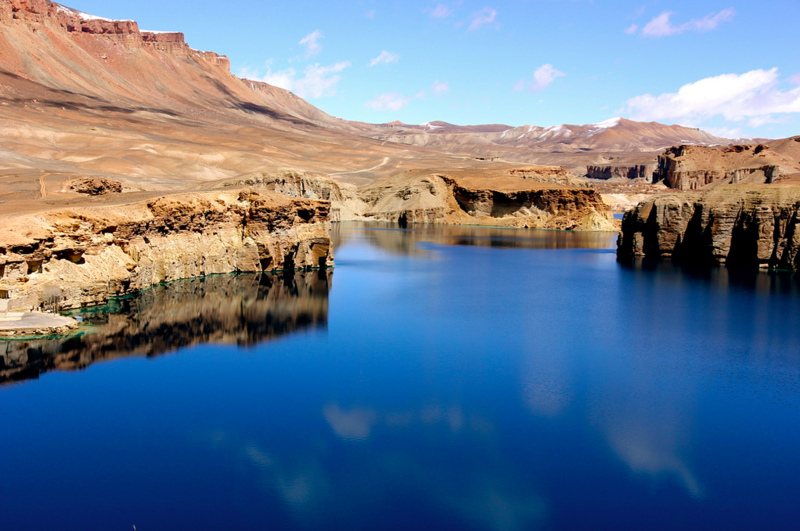 Hidden lakes, unclimbed mountains, Afghanistan will one day turn into "El Dorado" for nature lovers. 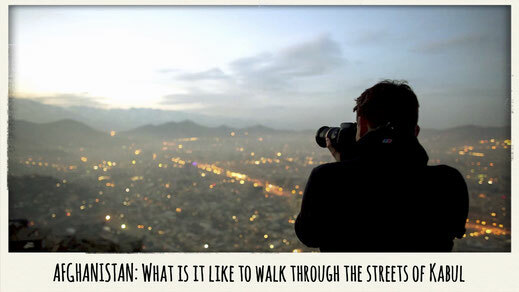 bonus - The beauty of Afghanistan in 5 minutes. Get my latest Top10 emailed! 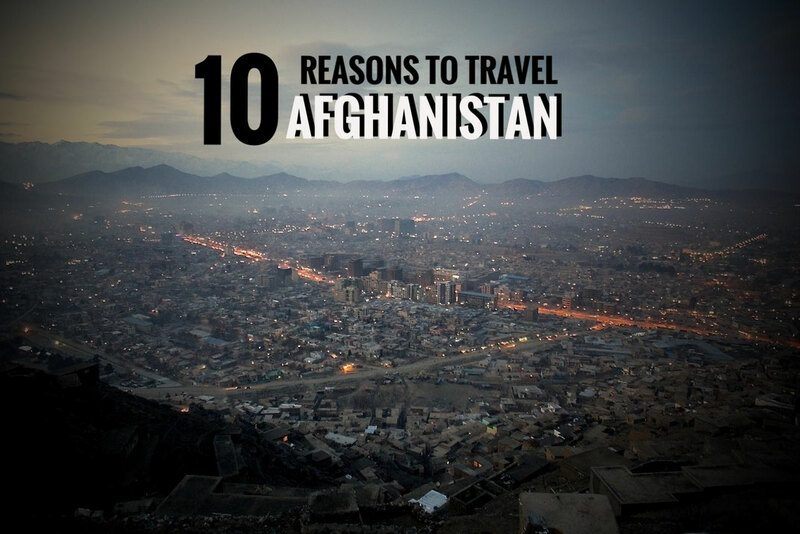 WOULD YOU TRAVEL TO AFGHANISTAN?